Window perf is a calendared adhesive-backed PVC vinyl that is perforated with a pattern of round, evenly spaced holes. The advantage of window perf is that it allows graphics printed on a glass surface, such as windows, to be seen from the outside, but appear invisible to the people inside looking out. Window perf is sometimes called “see-through vinyl,” or “one-way vision film,” but the basic concept is the same. In most cases the actual size of the holes are uniform (usually about 1.5mm). It’s the distance between the holes that determines the print coverage vs. visibility. For example, 50/50 window perf film means that 50 percent of the material is printable area and 50 percent is perforation. Window perf comes in a number of different hole configurations; 50/50, 60/40 and 70/30 are the most common. The first number in this designation represents the amount of printable area and the second number represents the amount of open (see-through) area. Therefore, a 70/30 window perf has a larger printable area, but less see-through area, than a 50/50 window perf. Window perf is made in layers. The first (top) layer is the white vinyl that is printable, the next layer is black vinyl, followed by an adhesive coating and finally the release liner. The black layer acts as an optical illusion that allows clear visibility from behind the printed vinyl, but works best when you have 70 percent or more of the light on the printed side. Typical applications for window perf include vehicle windows (side and rear), exterior edifice glass (i.e. building wraps), retail window displays, and any situation where you want a graphic to be seen from one side, but not from the other. Vehicles are by far the most common use for window perf, but building wrap windows are very common in places such as Las Vegas. In most applications that are not vehicle related, you would not typically laminate the window perf. However, for vehicle applications some people laminate and some don’t. This is a choice you should research for your particular application, and decide what is best for your clients. Some people think you can use window perf to separate two rooms that are divided by glass—like a conference room with glass walls. However, you generally cannot achieve privacy in the room with window perf because the amount of light is typically the same inside and outside the glassed-in room. If the amount of light inside the room is greater than outside, then the film will appear more or less invisible. The challenge for many shops is to find a window perf product that can be easily installed on the inside of the glass. Years ago 3M introduced a product for the Scotchprint 2000 electrostatic printing system where you could transfer the image onto a special perforated vinyl that had the adhesive on the face of the clear film. This allowed the digital print market to offer a reverse-mount window perf product. Today, Contra Vision offers an inside-mount perforated film called TT. It consists of black on white backing layers, and is a thermal transfer product that enables see-through window graphics for application to the inside of a window. The material is self-wound with the coating on the inside. The coating is transferred to a reverse-imaged, clear perforated material by a heated roller laminator and the liner is removed so that, when applied to a window, the image is visible right-reading from the outside and the black faces inside for good through vision. Interior-mount window perf employing similar mounting concepts are starting to become more readily available. Check with your preferred window perf manufacturer to see if they also offer this type of film. Who wants those Black Friday sales to last longer? 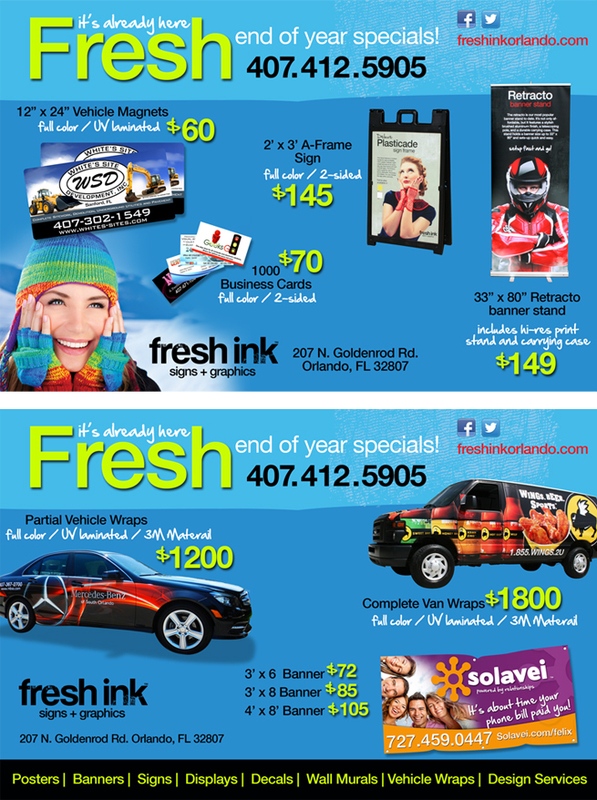 We have some fresh deals that will last til’ the end of the year! Whether you need business cards for the new year or a fresher look for your vehicle, all our services are on sale! Take a look at our ad and come in and visit us! Happy Thanksgiving everyone! https://freshinkorlando.com/wp-content/uploads/2014/05/logo-3.png 0 0 freshink1 https://freshinkorlando.com/wp-content/uploads/2014/05/logo-3.png freshink12012-11-20 11:22:052012-11-20 11:22:15Gobble Gobble! 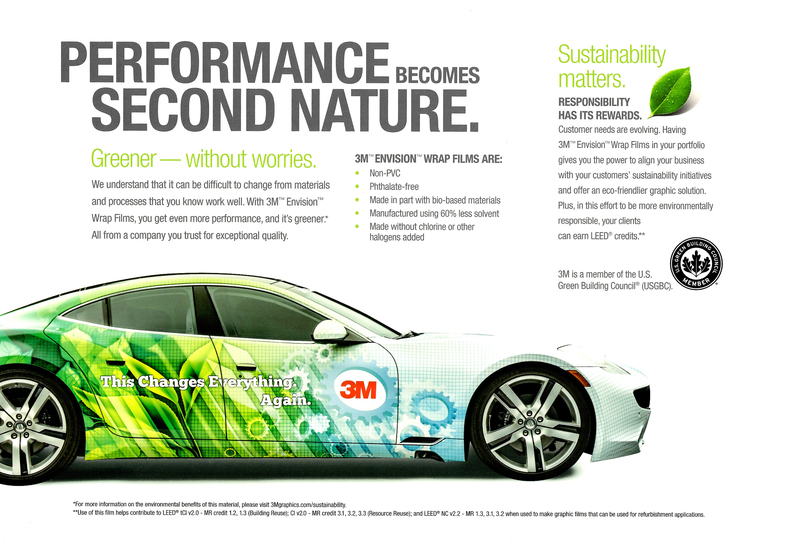 The next generation of wrap films from 3M is here and it’s about to change the industry. The new, versatile 3M Envision Wrap Films go beyond non-PVC, with a breakthrough boost in attributes — even outperforming the industry favorites, 3M films IJ180Cv3 and IJ380Cv3, and overlaminates 8518 and 8580. They didn’t just invent non-PVC wrap films. They revolutionized wrap fils. Period. It almost defies logic. 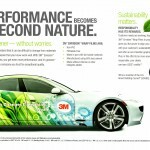 3M has invented a new graphic film technology that will change how you do business. They kept the 3M innovations we know and love: excellent print quality, slideability, snap-up (repositionability), heated film recovery, and Comply v3 Adhesive air release channels. Then they developed more. A lot more. Better conformability and lifting resistance. Even easier installs. Faster removals. With patent-pending 3M Envision Wrap Films, we can handle any projects with confidence — no matter how challenging. Here at Fresh Ink, we look for the freshest quality in the product we use for our vehicle and boat wraps. That’s why we use 3M. https://freshinkorlando.com/wp-content/uploads/2014/05/logo-3.png 0 0 freshink1 https://freshinkorlando.com/wp-content/uploads/2014/05/logo-3.png freshink12012-11-13 12:41:032012-11-13 12:41:03This changes everything. Again. We are proud to announce that our website it finally LIVE! Please take a look around and don’t forget to check our ‘Fresh Ideas‘ pages! We offer the freshest graphics in town, and look forward to doing business with all of you! https://freshinkorlando.com/wp-content/uploads/2014/05/logo-3.png 0 0 freshink1 https://freshinkorlando.com/wp-content/uploads/2014/05/logo-3.png freshink12012-11-12 16:38:202012-11-12 16:38:20And we're LIVE!